Today, the last day of Mental Health Awareness month, I’m proud to announce the launch of a new video series on our channel titled RHAPSODY IN ALCHEMY, an intimate peek into the lives of artists with lived mental health experience. This is an issue that hits very close to home: I was hospitalized and diagnosed as bipolar in 2010 after an episode of hypomania followed by months of depression. It remains to this day one of the most confusing and painful periods of my life. Because of the deep stigmatization and confusion surrounding mental illness (a term many in this community disagree with as some people don’t view their condition as an illness at all) I’ve never been able to share my diagnosis without quickly adding that I’ve been healthy, stable and episode-free for over 7 years now. I often worry that people will look at me differently with this new information or that I’ll be ostracized in one way or another. I’ve seen this happen to close friends who have battled their own extreme highs and lows, unable to turn to the people they love who just can’t begin to comprehend what they’re going through. One of the most valuable things we can do to fight stigmatization is by openly sharing our stories. I hope that sharing mine and those of the talented, passionate artists you’ll meet in this series will foster greater understanding and help those who feel alone out there, as I once did, find connection and community. 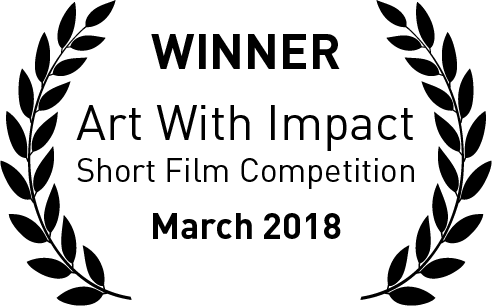 This first video, winner of April’s Art With Impact mental health film competition, features an extraordinary filmmaker named Sal Tran who reflects on staying grounded and empowered through battles with suicidal depression and PTSD.